Media captionThe chief whip, Julian Smith: "The government should have been clearer on the consequences"
The government should have made clear after the 2017 election that it would "inevitably" have to accept a closer relationship with the EU after Brexit, the Conservative chief whip has said. In a BBC documentary, Julian Smith - who manages party discipline - is also critical of the cabinet's behaviour. The attack comes as the cabinet is split over whether to move to a softer deal that could mean a customs union. No 10 said the prime minister had "never used the term soft Brexit". Several cabinet ministers have said agreeing to a customs union would break promises the Conservatives made at the 2017 election while ex-minister Steve Baker said doing so would "shatter" the party. MPs will hold further votes later on Brexit options to try and resolve the current deadlock. A customs union with the EU is thought to be the most popular of the ideas under consideration. Other options include leaving the EU without a deal on 12 April, a referendum to rule out no deal and a confirmatory referendum on Prime Minister Theresa May's deal. Culture Minister Margot James told the BBC's Politics Live she was considering voting for the referendum option as although she still believed the PM's deal was the best on offer, the chances of it being approved were "receding". In interviews for The Brexit Storm: Laura Kuenssberg's Inside Story, Mr Smith accused ministers of trying to undermine the prime minister. He said he witnessed ministers "sitting around the cabinet table... trying to destabilise her [Mrs May]" and described their behaviour as the "worst example of ill-discipline in cabinet in British political history". Mr Smith said that when his party failed to get a majority in the 2017 election, which ended in a Hung Parliament, "the government as a whole probably should have just been clearer on the consequences of that". The parliamentary arithmetic after the poll, he added, meant "that this would be inevitably a kind of softer type of Brexit". 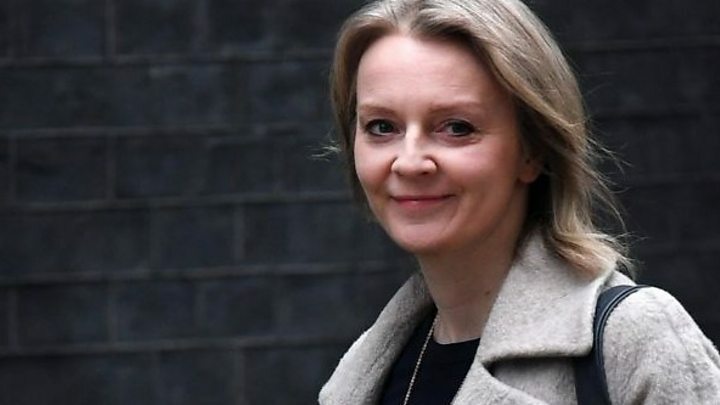 But Chief Secretary to the Treasury Liz Truss said it was not clear a customs union could get a parliamentary majority, as it does not have the backing of the SNP and some Labour MPs. "It's not clear to me that going softer is the way to command support," she told Radio 4's Today, adding "the "answer lies in modifications to the prime minister's deal". Environment Secretary Michael Gove said signing up to a customs union would "compromise" pledges made in 2017 while Defence Secretary Gavin Williamson said ministers were "determined" to avoid that happening. Labour has said it will this time support the Common Market 2.0 option in Monday's votes, in addition to other options which the party backed last week. This option would mean joining the European Free Trade Association and European Economic Area, with countries such as Norway, and it includes single market membership and retains freedom of movement. In the last vote, 58 Labour MPs abstained and 42 voted against this proposal. Read Laura's blog in full here. 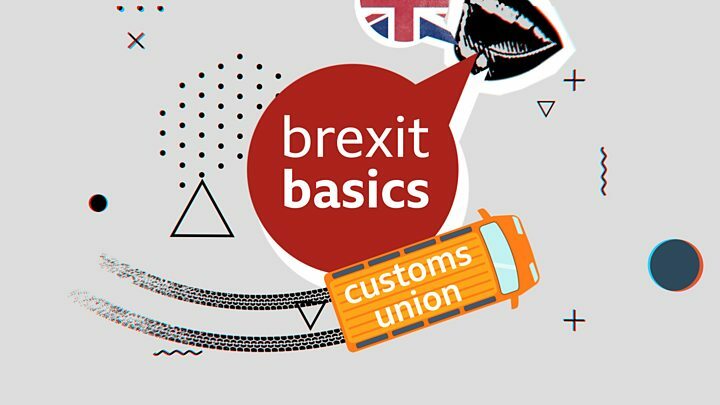 A customs union would allow businesses to move goods around the EU without tariffs - taxes on importing goods - but membership would bar the UK from striking independent trade deals after Brexit. Parliament has rejected the withdrawal agreement the UK has negotiated - covering the UK's "divorce bill", guarantees on citizens' rights and contingency plans for the Irish border known as the backstop - with the EU three times. European Parliament's Brexit co-ordinator Guy Verhofstadt tweeted that Brexit was a "tragic reality" and urged MPs to find a compromise in Monday's votes. Who is the chief whip? The chief whip, whose official title is parliamentary secretary to the Treasury, is appointed by - and answers to - the prime minister. Julian Smith, the MP for Skipton and Ripon, was appointed chief whip by Theresa May in November 2017. His role is to maintain party discipline and attempt to ensure members of the party vote with the government in important debates. Along with the other party whips, he looks after the day-to-day management of the government's business in Parliament. The chief whip is a member of the cabinet. It is customary for both the government and the opposition chief whips not to take part in parliamentary debates. None of MPs' eight proposed options secured a majority in the first set of indicative votes on 27 March, but those that received the greatest support were a customs union with the EU and a referendum on any deal. Mrs May's deal is opposed by parties including Northern Ireland's DUP - which the government relies upon for support - as well as a group of her own MPs. The DUP has said it will not vote for the deal as it believes it could threaten Northern Ireland's place in the UK. The party's Brexit spokesman, MP Sammy Wilson, said it would not back it even if Mrs May brings it for a vote in the Commons "1,000 times".